GCHQ has issued a challenge to recruit new staff. The web page canyoucrackit.co.uk was launched with the following cryptic challenge. Almost at the end of the code there's a relative 'call', but no matching 'ret' (at least in the reachable code). The following instructions seem like nonsense, so it seems likely that the code uses an old trick to embed data within code. The 'call' puts the address of the following instruction on the stack, then branches the execution. The code does later check that a value popped from the stack (0x41414141) so it seems that everything after the call is in fact data, not code. 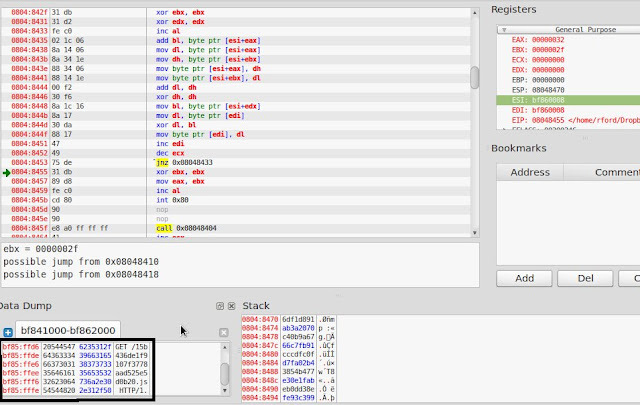 Later, it also checks this area of memory for the value 0x42424242 but that is nowhere to be seen! Notice the iTXt section? A quick look at the libpng site shows that this section should hold text, not the garbled junk that's actually there. The text looks hard to recognise, but the two '=' signs at the end is a dead give away for Base64 encoding. Sure enough, a little ipython work and the output was saved to a file. 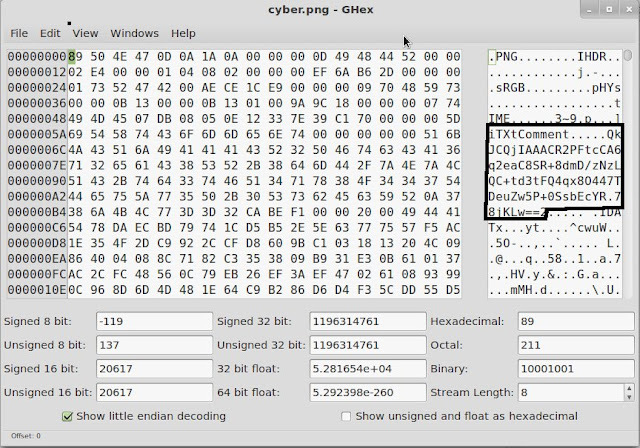 Running it through ndisasm gives a load of junk so its not more code, but the first four bytes are the ascii character 'B' or 42 in hex! That means that this is what's missing from the code - maybe not actual code but embedded data.